Kalamazoo Foundation Scholarship brochures will be available in the Counseling office as soon as we receive them. Listen to daily announcements for exact date. 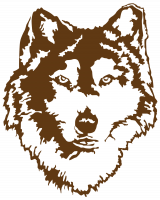 Portage Educational Foundation Scholarships These scholarships are open to all Portage Northern Seniors. Applications for 2019 graduates can be submitted at their website beginning November 2, 2108. The deadline is the February 11, 2019. You can view the scholarships that will be awarded this year on this poster. Tuition Assistance Program TIP (Tuition Incentive Program) is for Michigan parents and students who meet a Medicaid eligibility history requirement. You can find details on their website as well as a fact sheet and flyer. Robert P. Amrhein Memorial Scholarship Robert Amrhein was a young man who participated in many activities. In addition to being a valued member of the debate team at PNHS, he competed in forensics, the swim team, was a member of the USS Great Lakes Aquatics team and was a member of the National Honor Society. During high school he received several awards for outstanding academic performance, leadership and citizenship. These awards included the Daughters of the American Revolution Good Citizen Award, the Portage Northern Principal’s Leadership Award, the Jimmy Holms Perseverance Award and the Portage Northern Debate Departmental Award. As a PN graduate of the class of 2006, some of Robert’s most admirable qualities were: honesty, integrity, selflessness, acceptance of others, concern for others, leadership, compassion and a general spirit of good will. Robert succumbed to cancer after a long, courageous battle on June 7, 2007. How to apply: Applications are available online at the Portage Education Foundation webpage typically by early December. Students may be nominated by Portage Northern faculty. Nominated students interested in being considered for the scholarship will be asked to fill out an application. If not nominated, a student may nominate himself/herself. Deadline: Applications must be turned in to the Portage Education Foundation (PEF) by typically mid-February. Listen for announcements for more info about PEF. Recipient will be selected and notified in April. Recipient will be honored at the Senior Academic Awards Ceremony in May. Criteria: A PNHS senior who has attended Northern for at least 2 years and plans to attend a two or four year accredited college, university or vocational/technical school. The student demonstrates the following qualities: Honesty, integrity, selflessness, acceptance of others, concern for others, character, leadership, compassion and a general spirit of good will. The award is primarily merit based, but financial need may be considered. Award: $4,000 non-renewable award…payable only to recipient’s college/university/school. Clarence L. Remynse Scholarship Seniors: You can apply using Kalamazoo Foundation’s online scholarship application. Students can access information and apply for the Clarence L. Remynse Scholarship on their website at www.kalfound.org. The deadline to apply will be announced, but typically is early December. Western Michigan GLOBAL AMBASSADOR SCHOLARSHIP: This is a competition for a pre-freshman study abroad course and funds for a later study abroad program at WMU. In order to be considered for this award, students must be admissible to WMU and submit a separate scholarship competition application. Both applications must be received by mid-October (the exact deadline can be found on their website). Up to 100 applicants will be invited to compete in the on-campus competition typically held mid-November. Western Michigan MEDALLION SCHOLARSHIP: The admissions application deadline for consideration is to-be-announced. The Medallion Scholarship is one of the most prestigious awards at the university and worth a total of $60,000. Eligible students will be invited to participate in one of the competition dates, typically hosted in early December (check their website for exact dates. For eligibility, students must have a 3.7+ GPA and a 26+ ACT composite or 1240+ redesigned SAT composite score. Full details, dates, and deadlines for WMU scholarships are available by visiting wmich.edu/admissions/freshmen/cost-scholarships/scholarships. Dr. Charles C. Warfield Youth Community Service Award The Dr. Charles C. Warfield Youth Community Service Award was created to celebrate the success of youth who are involved in community service throughout the Kalamazoo/Portage vicinity. Dr. Warfield was a quintessential leader and community activist. This prestigious award will acknowledge the fine efforts of a local African-American high school senior who embraces the spirit of diversity, while being energetically and enthusiastically engaged in community service, community projects, and other community-based activities. Click here for more information. AES Engineers Scholarship AES Engineers scholarship deadline is (TBA). They will be awarding $500 to the winner(s) each year. To apply, visit http://www.aesengineers.com/scholarships.htm. Free $cholarship $earch $ervices Look beyond colleges and universities for scholarships. Educational funding in the private sector has increased dramatically in recent years. Review mainstream sources of funds, and be creative. Think about what makes you different, and find groups that value that difference. Many organizations offer scholarships, including: state and local governments, businesses, employers, clubs, associations, high schools, civic groups, religious organizations, trade associations, labor unions, political parties, military associations, private foundations, private charities, and ethnic organizations..
National Alliance for Excellence: Students can be seniors already in college. They must submit an application that can includes recommendations (academic, art slides), dance (tapes), photographs, and/or other materials that point to talent and achievement in all areas. Awards are for a minimum of one year, and over 100 are granted. Applications can be submitted at any time. The selection process is ongoing. http://www.excellence.org . Scholarships – They’re Not Just About Grades! One of the biggest myths about scholarships is that they’re won based mostly on grades. As a result, a lot of qualified students don’t even apply for scholarships that could award them the recognition they deserve and the help they need. High grades and test scores are significant but being a positive, well-rounded person is just as important. 1. Fill out application on line if possible. Otherwise, print carefully and legibly in ink. 3. Be completely honest about grades, experiences, memberships, qualifications, family finances and other information. 4. Keep developing a “brag sheet” of all your activities. As you participate in school, church, community or other activities update your sheet. 5. Don’t forget to include unpaid work experience. Jobs show initiative and that you know how to budget your time well. 6. Don’t leave a space blank, if it does not apply to you write N/A. 7. Talk to students who have already won the scholarships of interest and what worked for them. 8. Carefully follow instructions. If the scholarship asks for an essay with a word limit, do not exceed the limit. 9. Only apply when the scholarships minimum requirements are met. 10. Proof read everything before sending it. 11. Supplement applications with personal letters of recommendation. 12. Strictly observe deadlines and even strive to submit applications early. 13. Follow up with a telephone call to make sure the organization received the application. 14. Remember to send thank you notes. 15. Know what you want and why. You should be able to explain your goals and know what steps you will take to reach them. States you’ve won an award you never applied for. Scholarship Organization does not provide valid contact information. Guarantees you will win an award. Requires personal financial information such as a credit card number or bank account number to “verify” or “hold” a scholarship. “For a small fee, we’ll give you a list of scholarships”. We will do all the work for you. There is no way to avoid submitting your own work for a scholarship application. While the presentation may be free, the services aren’t. You may be pressured to give a check or credit card number to sign up for the service. You are told that the program can adjust your income and/or assets to make you eligible for financial aid. Such practices are often illegal. The service tells you they can only answer specific questions after you have paid for the service.